First Big Storm of the Low Season. 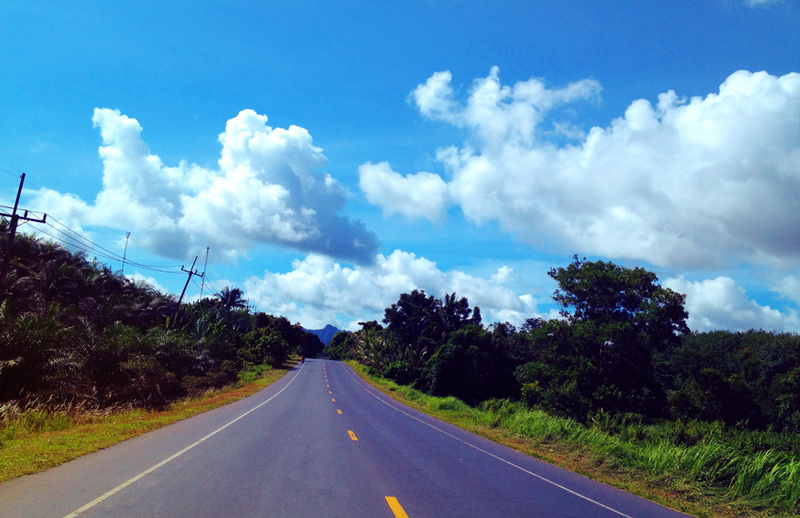 Khao Lak Weather & Climate Updates from 1 to 15 June 2014. 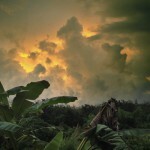 The start of June saw Khao Lak’s weather follow its now fairly predicable climate pattern, bright cool mornings and humid afternoons with rain showers. 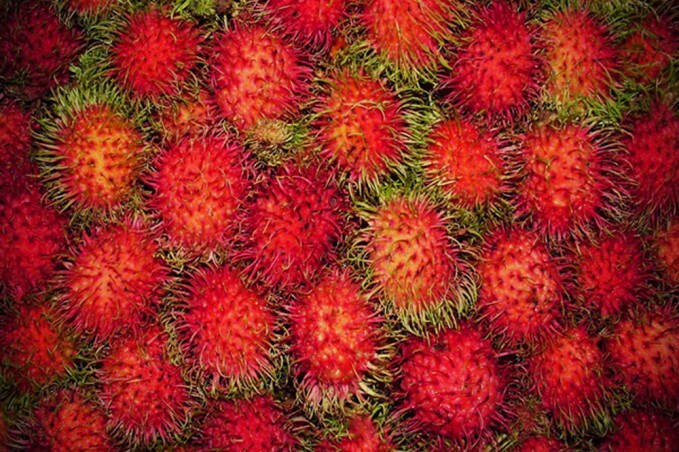 Towards the middle of June a strong south west prevailing monsoon wind blowing over the Andaman Sea brought with it adverse conditions to Khao Lak and much of southern and central Thailand. 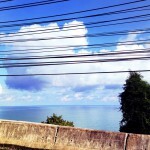 Khao Lak’s weather in June started in a similar way to how May ended, bright cool mornings with plenty of blue skies to be seen to the west. Average morning temperatures at 7:00pm were between 25-26°C. Nearing midday temperatures rose to around 31°C with clouds darkening and becoming more dense, especially to the east. By around 2:00pm dark clouds covered most of Khao Lak bringing heavy drizzle that lasted on average 90 minutes. By 4th June the day started with mostly cloudy skies and rain in the early hours of the morning, with a temperature of 26°C. Rain continued on and off throughout the day, heavy at times. There was also a power cut but this had been scheduled in advance by the local electricity authorities. The first week of June ended with bright mornings, partly cloudy to begin with, continuing throughout the day with scattered rain storms in the late afternoon and evenings. The odd heavy shower did cause power cuts to either the west or east side of Highway 4. 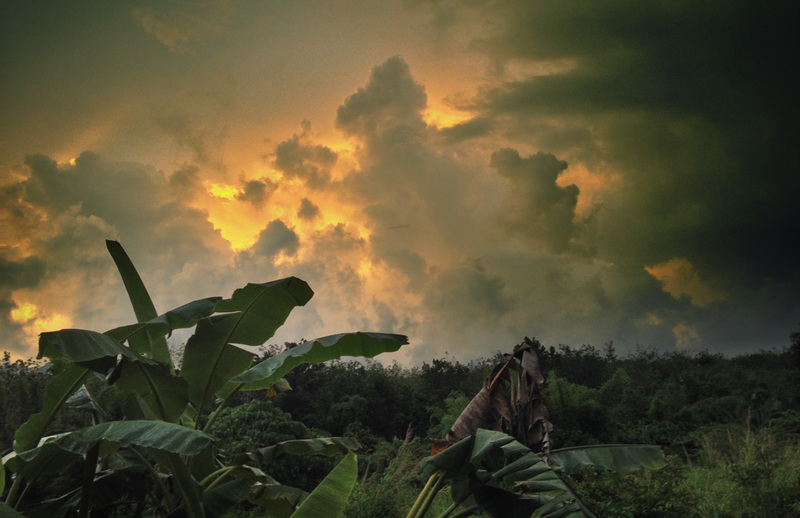 Khao Lak’s weather began to change more dramatically nearing the middle of the month of June. 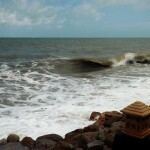 A strong south west monsoon wind picked up over the Andaman Sea causing dangerous sea conditions with reported 3m high waves. 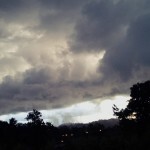 The weather got gradually worse from the 10th June. High winds and torrential rain storms caused wide spread flooding on various parts of Highway 4. Many parts of the road were littered with fallen branches making conditions treacherous at times. 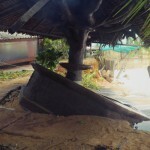 Khao Lak beaches took a pounding from high waves. 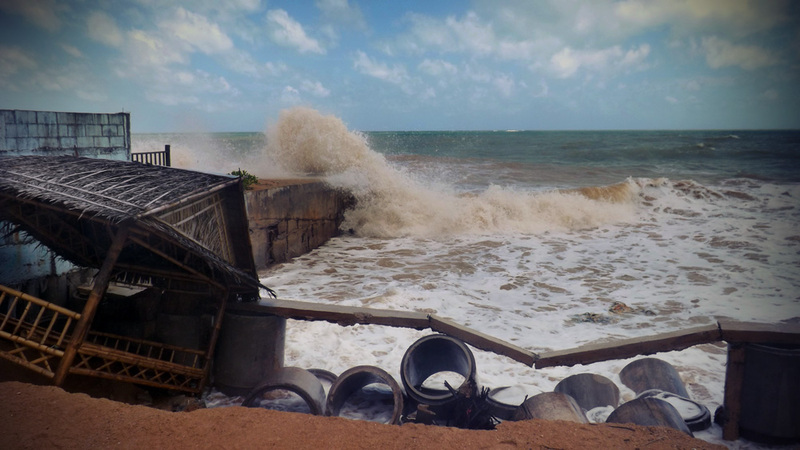 Bang Niang Beach was hardest hit, many ocean defences were washed away causing damage to beach side properties and businesses. Power cuts became the norm during the heaviest rainfall. 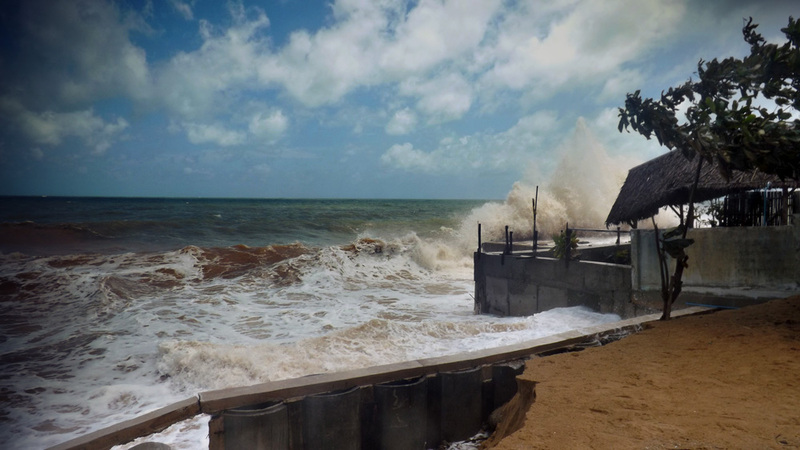 This was the first big storm to hit Khao Lak for the current 2014 low season. 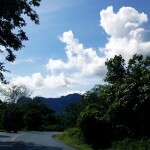 By the 13th June the weather had improved slightly though in the evening more heavy rains made road conditions difficult and some of Khao Lak spent an hour or so without power once again. Although the winds have abated slightly there are still 2m high waves in the Andaman Sea and more heavy rainstorms are predicted. Heavy rainstorms and high winds over the Andaman Sea are forecast until Wednesday 18th June. The weather should improve slightly for the second half of the week, but Saturday and Sunday may see more thunder storms. 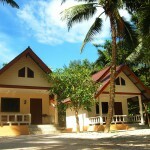 If you are visiting Khao Lak, mornings are likely to be the driest part of the day, with rain and possible thunderstorms in the afternoons and evenings. Take care if you are travelling by road during rain storms. Power cuts for the coming week are likely and not only caused by the weather.